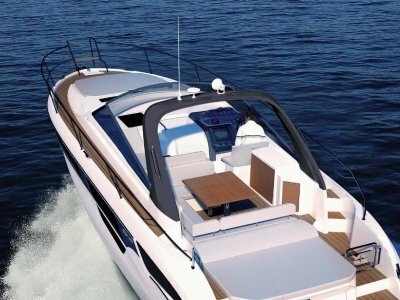 NEW Bavaria S45 Coupe EX-DEMO SPECIAL! This Ex-demo special is available immediately at a never before seen price. 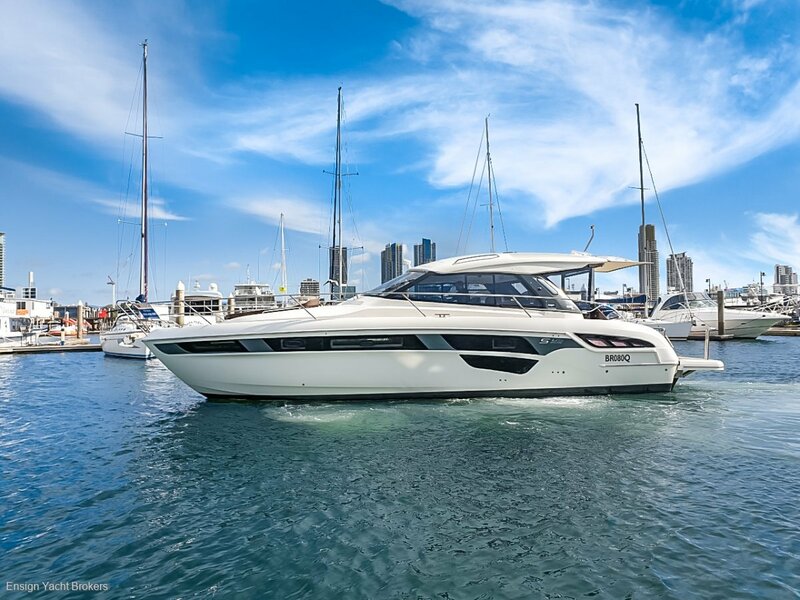 Finished in Light Oak and with many aftermarket options, she represents fantastic value for a new boat purchaser. 3.1 inflatable with folding transom. 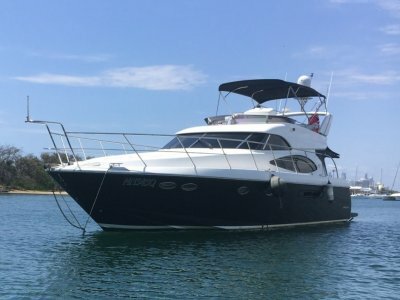 Full Window suncovers and custom aft sunshade. 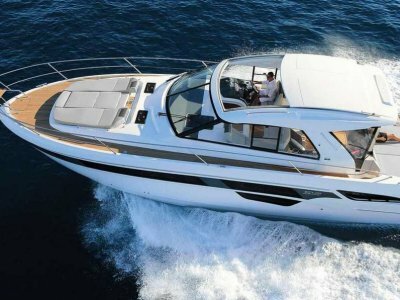 Forward V-berth and full width double convertible cabin in aft area. Convertible saloon. 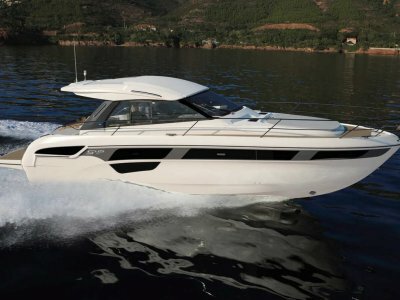 AUTO PILOT: Steer by wire for Volvo Penta inclu "Shadow Drive.